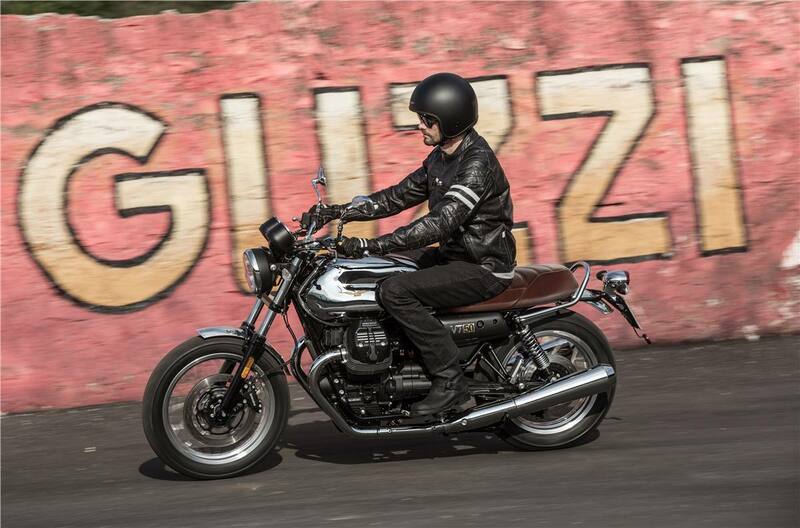 This is Moto Guzzi's tribute to the fiftieth anniversary of the V7 and, for this reason, it is a truly special version. 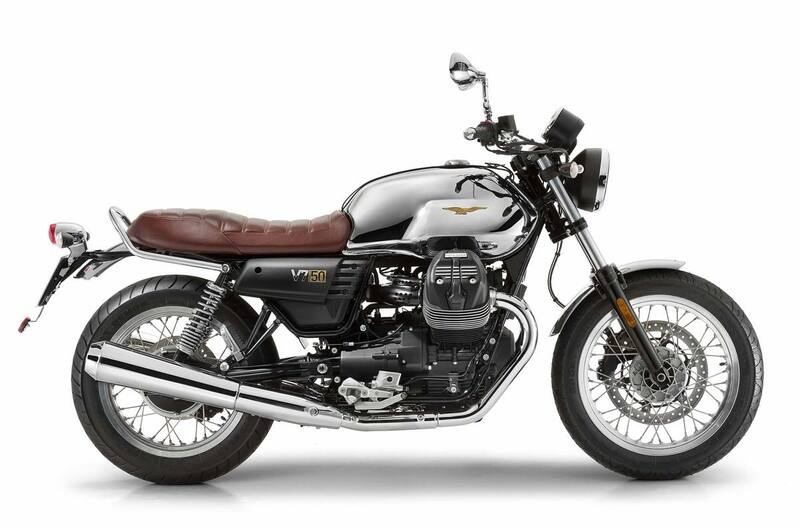 Produced in a numbered edition limited to 750 units, V7 III Anniversario is built on the V7 III Special base, from which it is distinguished by numerous details, starting with the dedicated graphics characterized by the prestigious, chromium finished fuel tank that hosts the refined, gold coloured Moto Guzzi eagle, combined with a brand new genuine leather saddle. 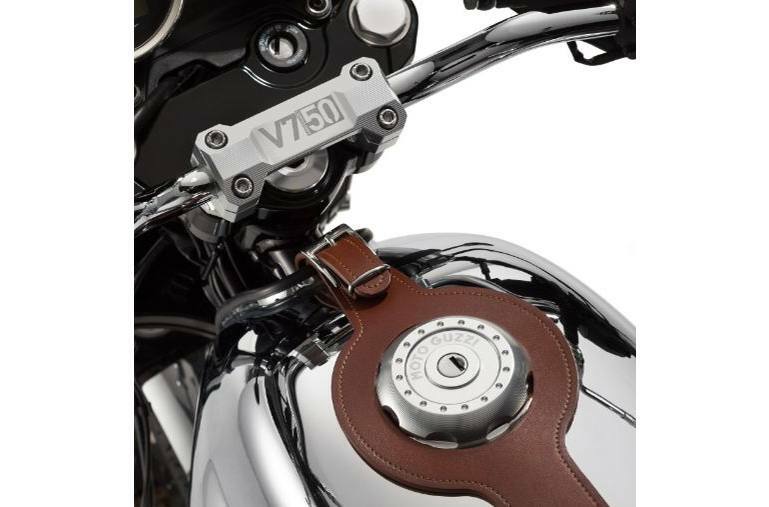 The locking fuel cap in made from billet aluminium, as are the steering yoke risers that bear the laser incised model serial number. The polished aluminium mudguards, the chromium plated steel rear grab handle and the wheel rims with exclusive polished channels and grey hubs are highly prestigious. 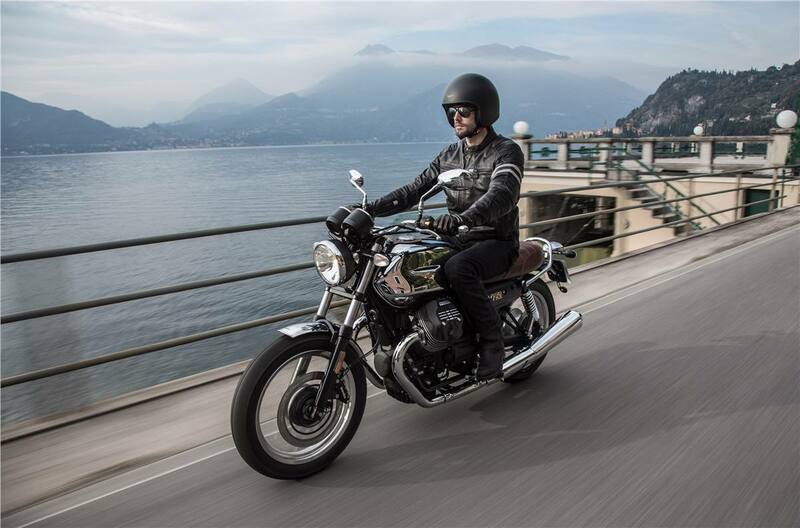 All of these details work together to make the V7 III Anniversario a motorcycle with an almost hand-crafted refinement for true collectors. Frame: Double cradle tubular frame in ALS steel with detachable elements. (250) 377-4320 1794C Kelly Douglas Rd.